Europe since receiving CE Mark in January 2016.
atrial fibrillation or ventricular tachycardia. experiencing arrhythmias from multiple origins in the heart. potential for risks associated with excessive radiation exposure. treatment solutions for patients in need of advanced ablation therapies. 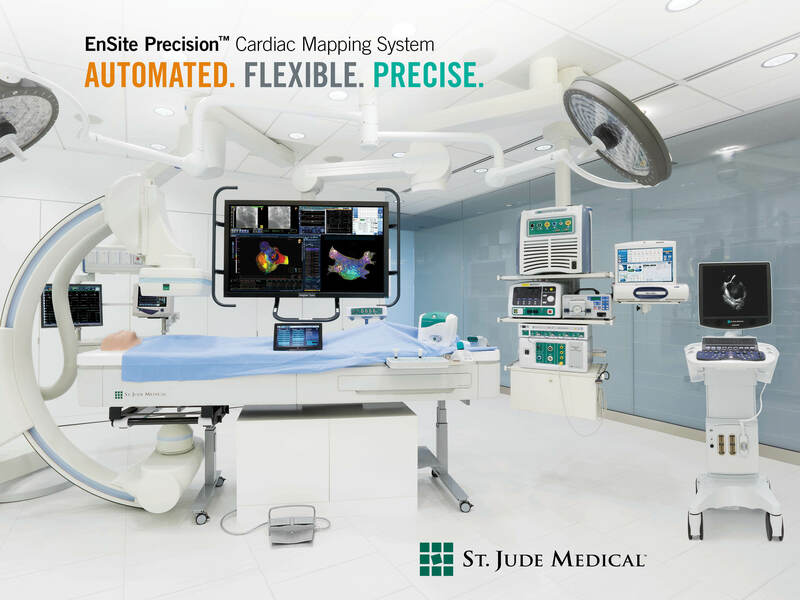 focus on arrhythmia management, visit the St.
Jude Medical Arrhythmias Media Kit. or follow us on Twitter @SJM_Media.